Bawangaja (Chool Giri) is an important Jain pilgrimage centre. It is 6 Kms from district headquarter Barwani. There are 11 temples on the hill and they belong to 15th century. 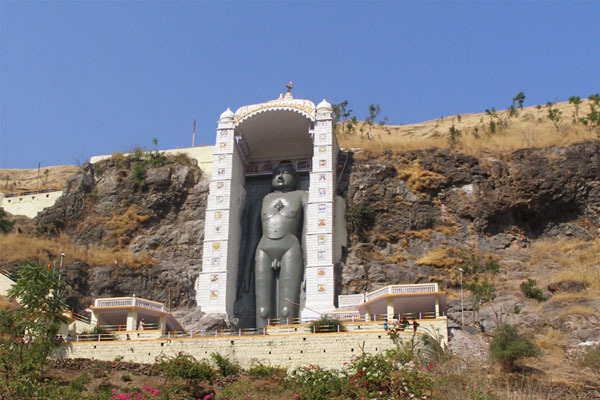 It has world's tallest statue of Lord Adinathji. Jain saints Kumbhakarna and Indrajeet were said to attain Nirvaan from this place only. Beejasan is situated on the Agra-Mumbai national highway, 20 Kms from Sendhawa towards Maharashtra. It is famous for the temple of Godess Beejasani (Durga).